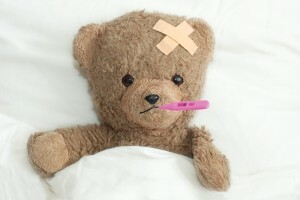 This is quite a controversial topic, so I’d like to start by saying that I’m in no way blaming anyone for being ill. When I talk about “pay-off”, this is almost always a subconscious thing that we don’t even realise we’re doing. However, having said that, pay-off is something that can appear when illnesses refuse to respond to treatment. It doesn’t affect everyone but, if you find you’re not responding to treatment when you’d expect to, it is quite an interesting subject to explore. Often we find that, in our lives, our core needs are not met. Maybe we were brought up not to ask for them to be met. Maybe we don’t really know what they are. If this applies to you, you may well have created strategies for getting them met in other ways. This is something we learn at an early stage. Kids often whine or pull a cute face to get what they want, rather than asking for it directly. Ideally, we grow out of these behaviours by the time we become adults and we start taking control of our lives in a more grown up way. However, few of us live a totally ideal life and belief systems learnt in childhood often perpetuate in adult life. Often these childish behaviours develop by accident. Sometimes, we witness the results others get and copy the behaviour. Sometimes, we work them out for ourselves. Either way, they can easily become a habit and, at that point, they often stop being conscious. If we find that we get some kind of unexpected but significant benefit from being ill, we might well want to hang onto the illness. An example of the pay-off could be that you get to take some time off. Maybe you’re overworked and over burdened and you might find a guilt-free day curled up under your duvet very attractive. Now, this isn’t particularly bad if it’s a one off, or it doesn’t happen very often. However, if we find ourselves with an illness that takes us to our bed more often than not, then we might have a problem. Maybe you are someone who gets much more support and attention when you’re ill than when you’re well. Maybe your family rally round you with drinks and food when the rest of the time, that job is yours. Maybe you find it hard to step up to the responsibilities being placed on you. If you’re very ill, then you may be able to get out of some of them. There will be many other examples, but I’ve just listed 3. The key is to notice what you are getting out of being sick and then get those needs met in another way. So, in the first example, the need would seem to be having time off. If you resonate with this, are you someone who feels guilty if you take time off and rest for no particular reason? Were you brought up that way or had a role model who behaved in that way? Could you give yourself permission to rest without being ill? In the second example, the problem might be not getting enough support or attention. Do you ask for what you need? Do you actually know what you need? Were you brought up to believe your needs are less important than others’? Do you have a belief that others should intuitively know what you need? Can you set your boundaries so that people don’t take advantage of you? If you match the 3rd example, are you taking on too many responsibilities? This might be an issue with setting boundaries. Or are you someone who’s just bad with any responsibility? In which case, this might be a very deep issue that needs help in order to resolve it. I used to feel terribly guilty taking time off when I first started my business. I’d believe that I could only take time off when I’d achieved a certain level. However the constant pressure I’d put on myself meant that I was not nearly as effective as I had the potential to be. When things became overwhelming, I’d sink down into a kind of mini depression and take to my bed. Although those times were hell, for the first day or so they were also a relief. When I realised my pattern, I was able to give myself permission to take time off before it reached that stage and my health improved. So, if you have a pay-off element in your illness, can you get your needs met in a healthier way?